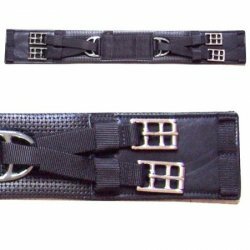 Soft PVC Dressage Girth by Intrepid International. Features Stainless Steel Buckles with an equalizing system. Does NOT have dees for breastcollar. Drop down list will only show sizes in stock. Contact me for next shipment date. 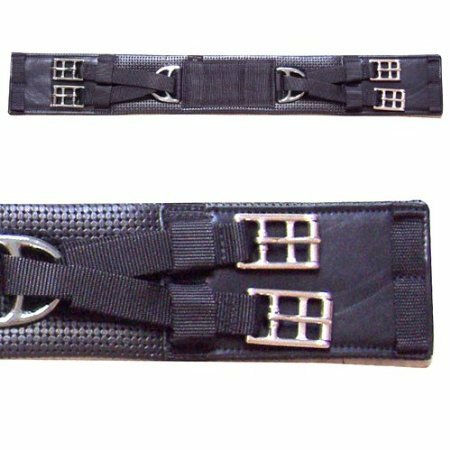 Intrepid International soft, affordable dressage girth. It prevents rubbing and chaffing. Roller buckles and equalizer. Sizes 14-32 inches available. I can order if not in stock. Does NOT have dees for breastcollar. Some Breascollars are made long enough for a loop on the end or girth loops are available.